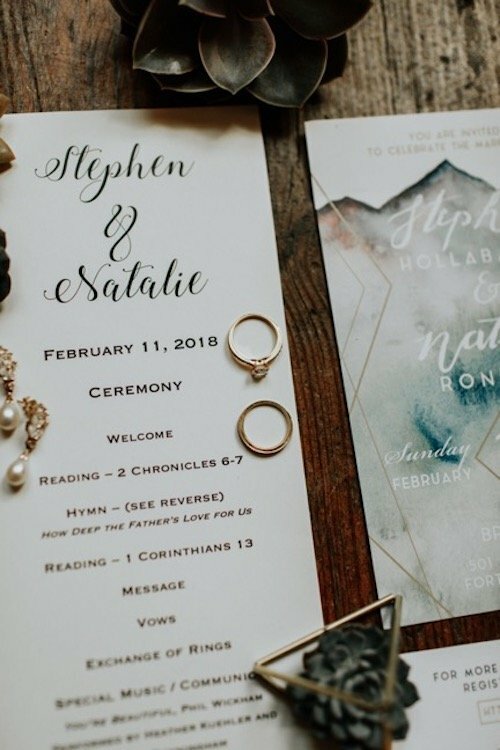 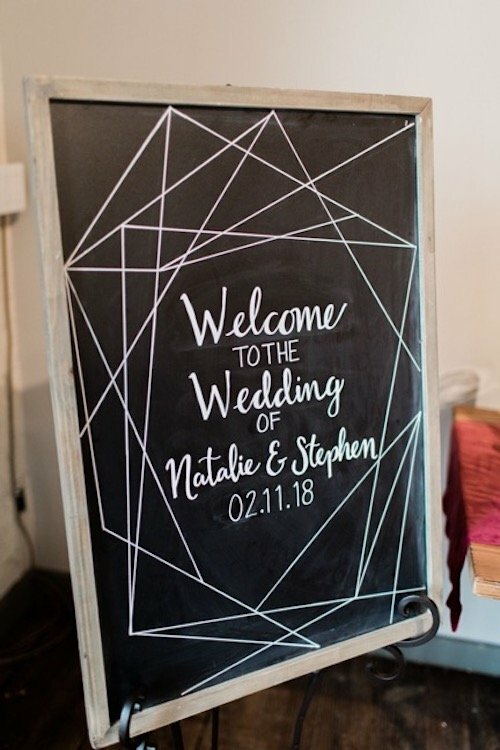 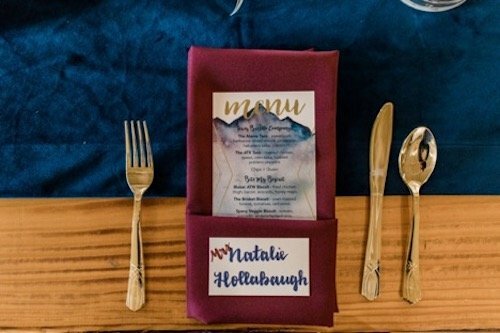 Natalie and Stephen’s wedding was super fun to design and plan, because it reflected on them as a couple so well! 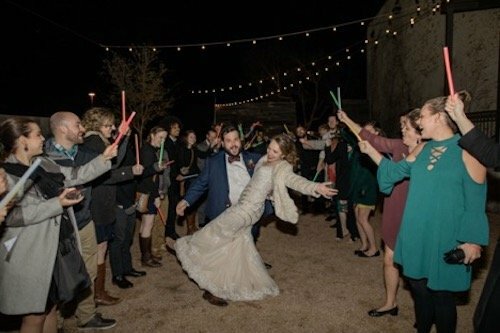 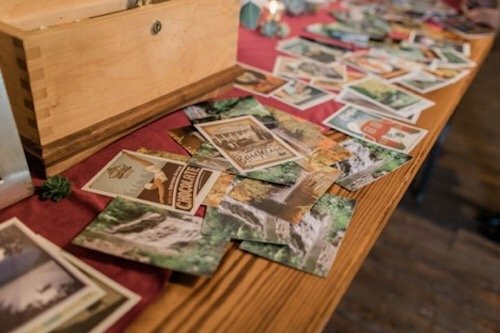 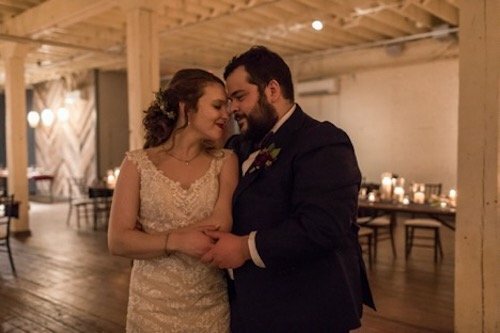 Fun-loving, go with the flow, and eclectic, the couple brought together guests from all over the country for an unexpectedly chilly night of revelry. 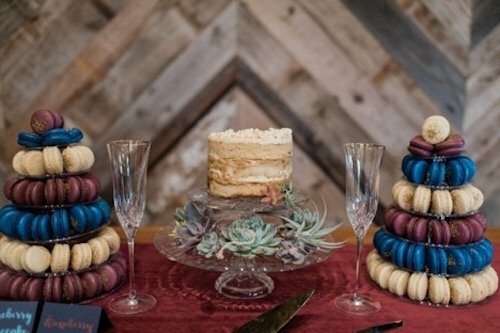 But first, we bring you something entirely different. 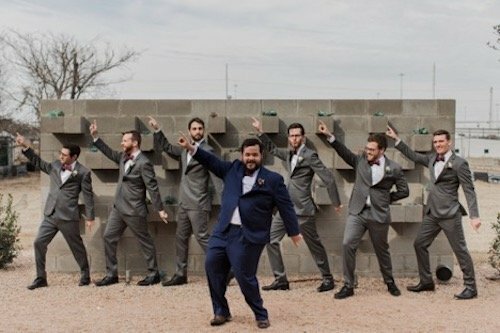 🙂 Natalie and Stephen had a private ceremony for their immediate family a few months before the wedding, and the photos are filled with such unadulterated JOY. 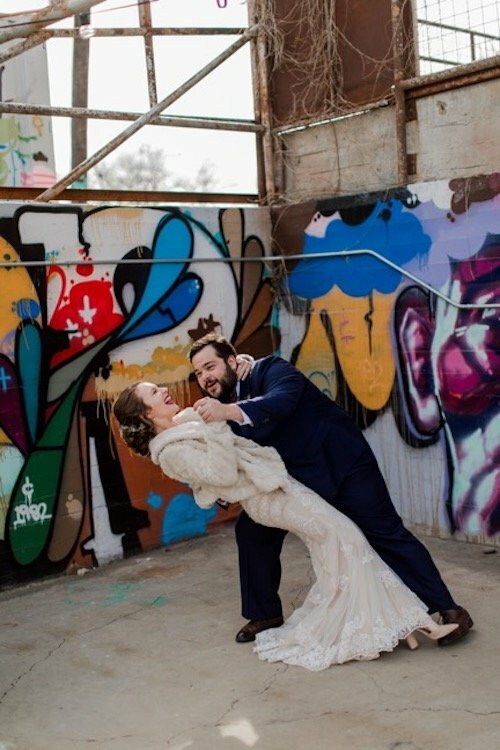 Tell me this isn’t exactly how you want to feel on your wedding day! 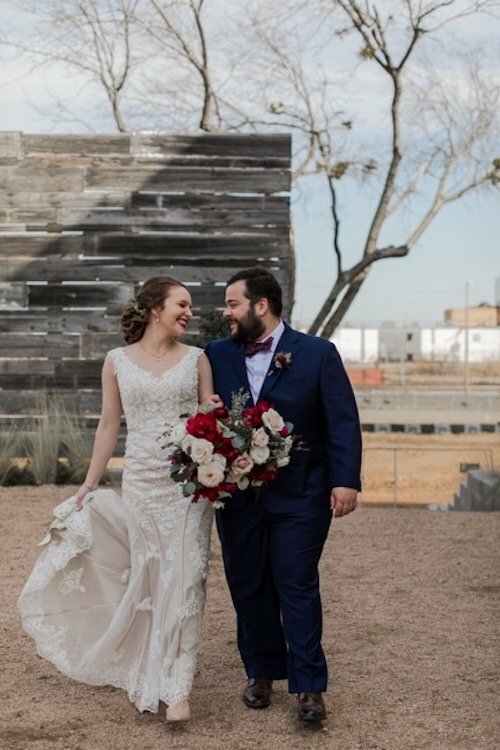 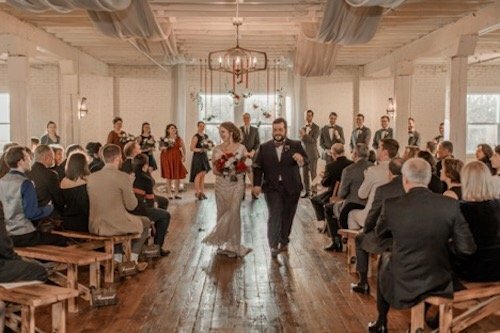 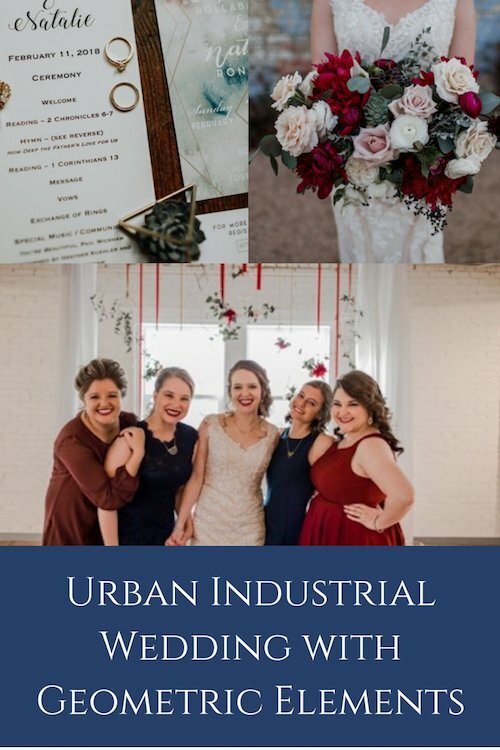 When it came time to celebrate with all their family and friends, Natalie and Stephen recouped their joy-filled day in Fort Worth. 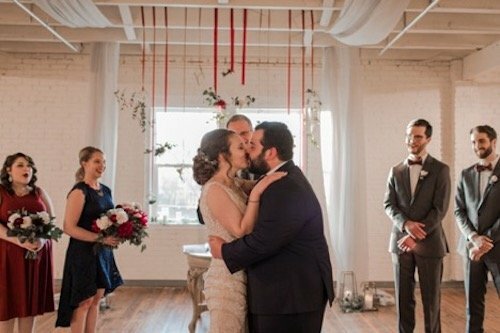 The ceremony was full of personal touches, from a song performed by the groom’s sister to readings from their wedding party. 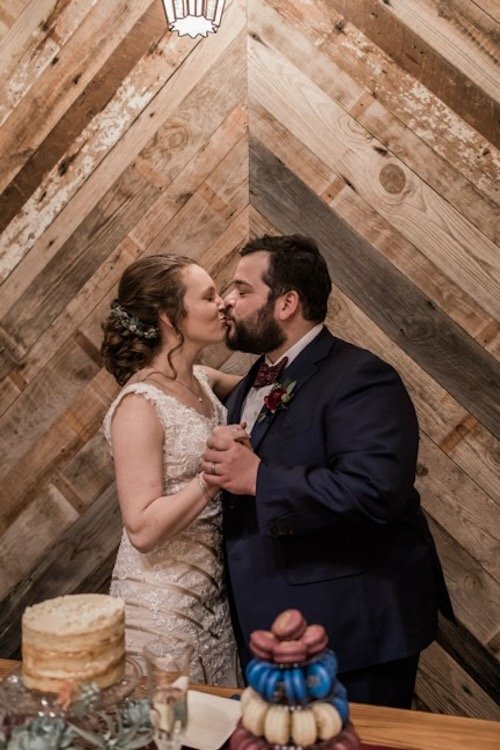 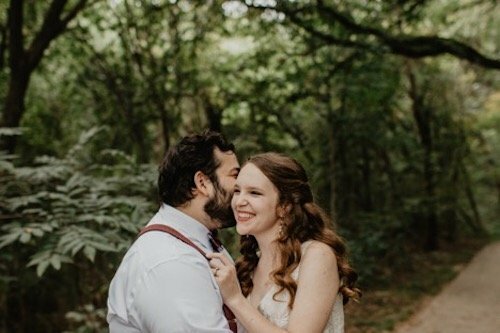 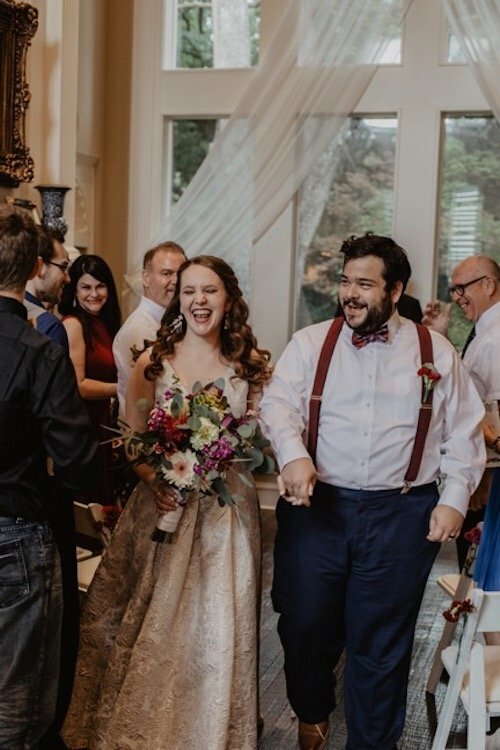 After the stroll down the aisle, it was time to party! 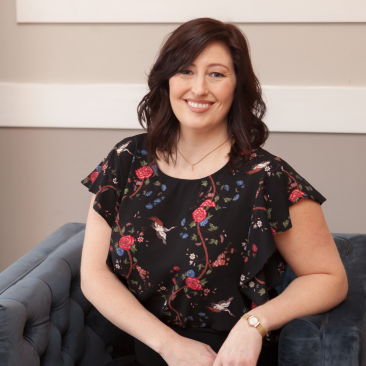 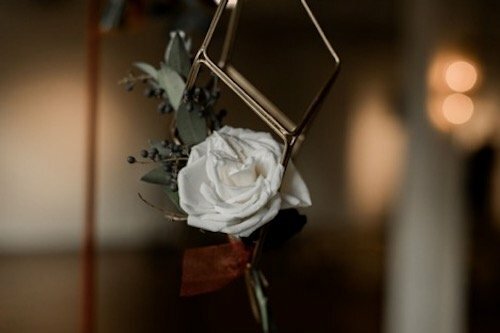 We focused on bringing in warm textures, geometric touches, and deep colors when it came to the look and feel of the design. 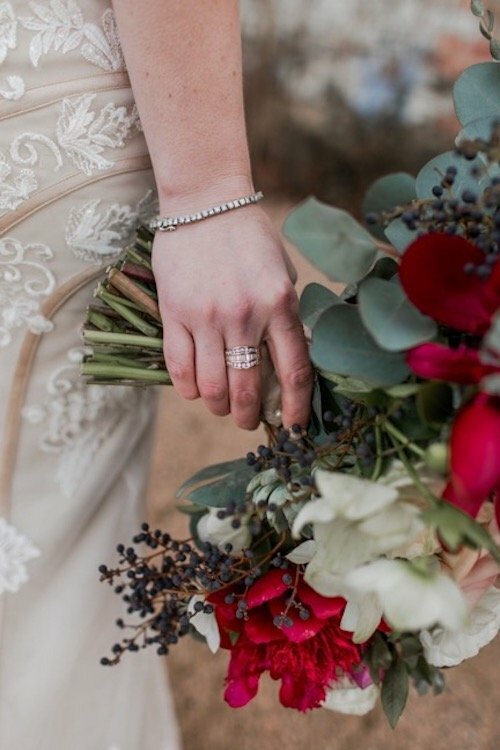 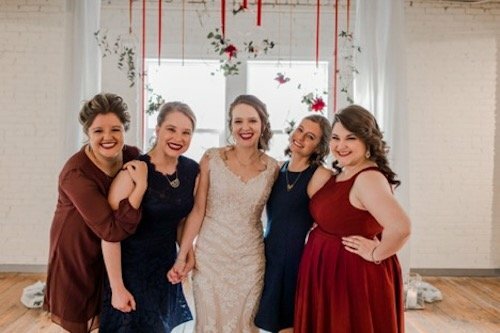 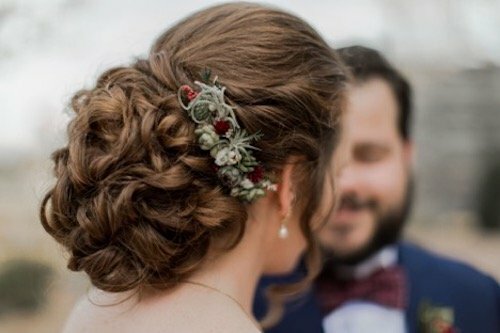 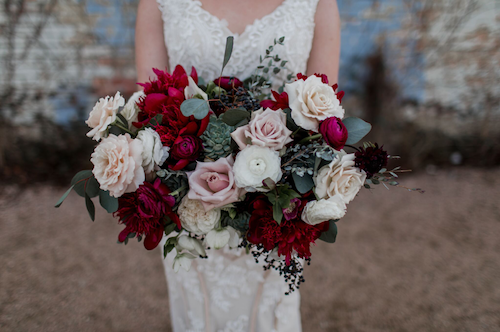 The bouquets were large and lush, with gorgeous burgundy blooms for color. 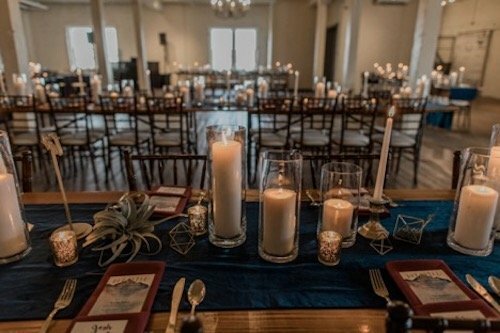 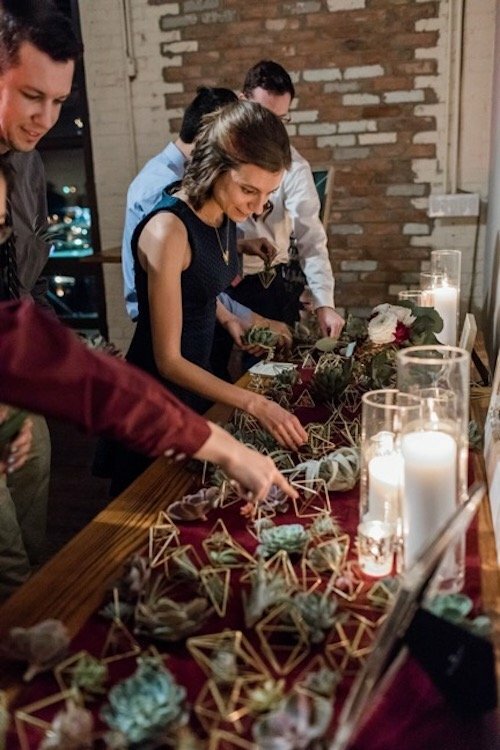 The couple adores succulents and air plants, so we made those a big part of our tabletop décor as well as the favor for guests to take home at the end of the night. 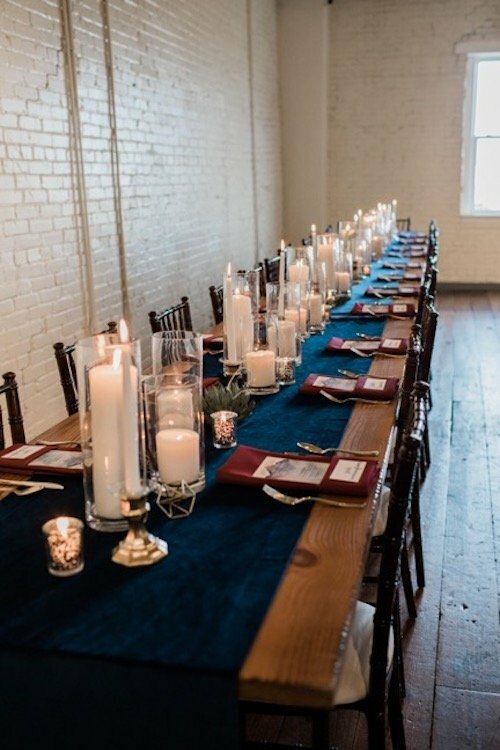 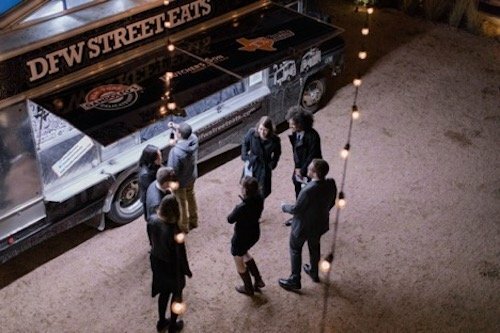 Warm candlelight welcomed guests to communal tables, and food trucks kept everyone on their toes throughout the evening. 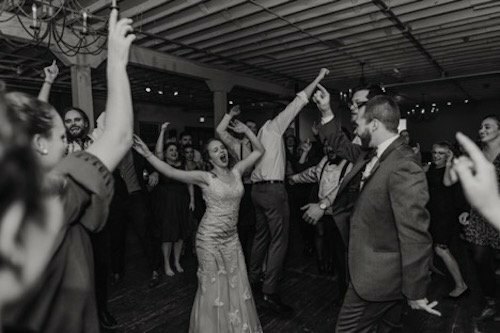 A big dance party finished off the night! 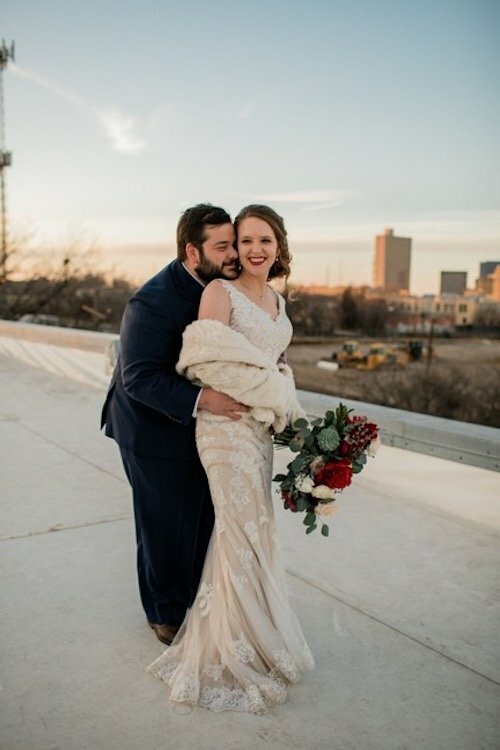 Just a few more… I loved the vintage postcards as the guest book, the cake shipped in from their favorite bakery in New York, and the rooftop sunset photos!